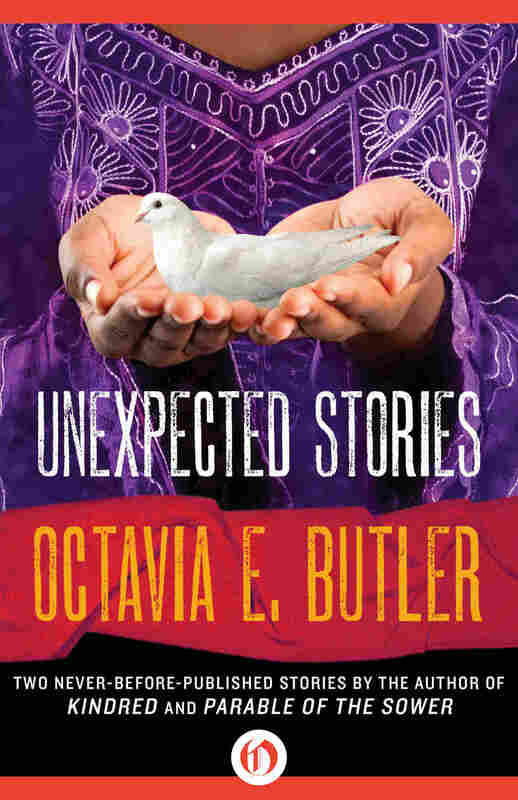 Review: 'Unexpected Stories,' By Octavia Butler When sci-fi legend Octavia E. Butler died in 2006, fans mourned the loss of works she could have written. Now, two unpublished stories are being released after a scholar found them among her papers. When a writer passes before her time, readers and fans often mourn not only the loss of her presence in the world, but the loss of the words she may yet have written. Such was the case when, in 2006, speculative fiction writer Octavia E. Butler died unexpectedly at her home in Seattle. Butler is one of the most celebrated authors in the genre, her novels and short stories regularly graced with Hugo and Nebula awards. She was the first speculative fiction writer to receive the MacArthur "genius grant," a prize whose name perfectly summarizes Butler's work: She was a genius. It's depressing to know that there will never be another new Octavia E. Butler novel to read. However, Butler's papers went to Huntington Library, where scholar Gerry Canavan is even now poring over them, unearthing fragments of the novels and stories she was working on. At some point during the excavation, two short stories emerged: "A Necessary Being" and "Childfinder." Both written in the '70s, one was apparently left unpublished by Butler herself, the other part of a famously unreleased anthology. Both are finally seeing the light of day in an e-book called Unexpected Stories. The first story, "A Necessary Being," is fantasy set in a world where leadership is biologically determined and leaders are utterly necessary to the proper functioning of society, even when they are unwilling and forced into it. Characters struggle with the tension between biological imperative and personal choice and freedom, a theme Butler would return to many times in later works. In sensibility, it resonates with another of Butler's stories — "Bloodchild" — though the plots are entirely different. In that story, a human boy struggles with his role as a future host for alien offspring — a role that will mean his death even as it helps ensure the comfort and survival of his loved ones. But while the young alien host has no real choices, the characters in "A Necessary Being" seize agency at the first opportunity. "Childfinder" is a story avid Butler fans have been waiting to see for a long time. She wrote it at the famed Clarion workshop in 1970 and sold it to her mentor, Harlan Ellison, for his anthology The Last Dangerous Visions. It was her first sale; she said it made her feel like she "was on [her] way as a writer." Unfortunately, The Last Dangerous Visions never saw the light of day, so "Childfinder," like many of the stories Ellison bought, has been sitting in his possession, unpublished, for over 40 years — until now. The story starts out with a quote from what appears to be an anthropological or history text, speculating that psionic (i.e. telepathic) ability in humans has the potential to "bridge age-old divisions of race, religion, nationality, etc., as could nothing else." The idea that some science fictional catalyst, be it telepathy or an alien attack, will erase boundaries or eliminate prejudice is a common trope in genre literature. And you can find plenty of writers who base the foundation of their fictional worlds on this optimistic ideal. But even here as a young writer, Butler admits to a generally pessimistic outlook; in "Childfinder" there's little hope that this Kumbaya-singing human solidarity can be achieved so easily. That's not to say the story itself is pessimistic or hopeless — it's certainly not. It's a realistic view of the future of the human race through the eyes of a black woman in 1970s America, suffused with a quiet revolutionary spirit that perfectly suits the author's style. There are also echoes of her Patternist series — novels about networked telepaths who control the human race. Perhaps "Childfinder" was the initial seed? In both stories Butler is able to create a whole world and a whole history out of very few words, by centering them on women who suffer no illusions about the worlds and circumstances they live in. She addresses race and class head-on as well as in metaphorical terms. And as Walter Mosley points out in his introduction, she was doing this "[l]ong before [she] changed the face of science and speculative fiction, the landscape of the potentials of literature." Though all too short, Unexpected Stories offers a much-appreciated glimpse into Butler's rich writing style and her genre sensibilities as they formed. It's a must read, not just for Butler fans but for all lovers of speculative fiction. K. Tempest Bradford is a speculative short-story writer by night, a technology journalist by day, and an activist blogger in the interstices.